While March 17th was intended to be about St. Patrick, the leprechaun has now taken center stage and even seems to have upgraded his status to one that rivals Santa Claus and the Tooth Fairy. My own kids were even known to call it "Leprechaun Day," when they were young. In the classroom this can be a tricky time for teachers! We want to feed children's interest and imaginations, yet we don't necessarily want to spend all month looking for leprechauns as children gather evidence in the form of lint specs found on the carpet. 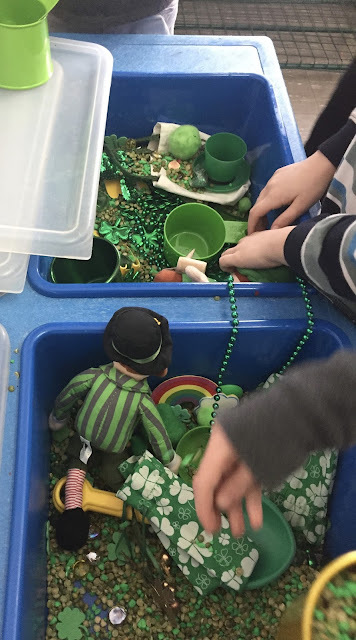 So here are some activities that I have found, that allow me to embrace the fun and magic of the season, while keeping the leprechaun "fever" in check. 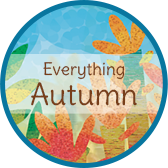 At the beginning of the month, I introduce a seasonally-themed attention getter and line-up song that infuse fun and imagination into our daily routines. 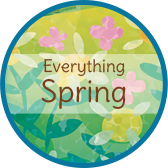 Green and shiny things are added to centers and are available throughout the month of March. 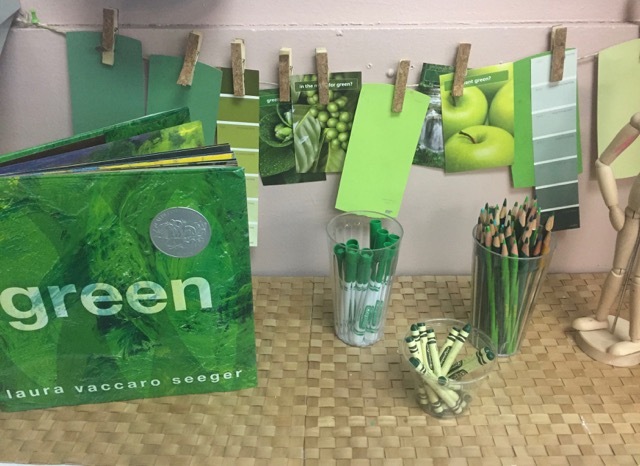 Pretend play naturally arises from the children's work with the materials they find there! Penny investigations, using mini pots of "gold," are done in small math groups and used to practice skills such as counting, fair shares, measuring, estimating, predicting, missing addend, and more! 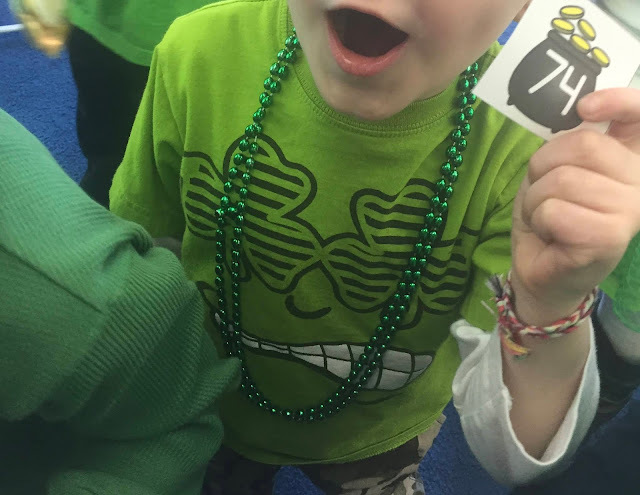 Lucky, the math mascot found on each page, guides children through each investigation by asking "math talk" questions. 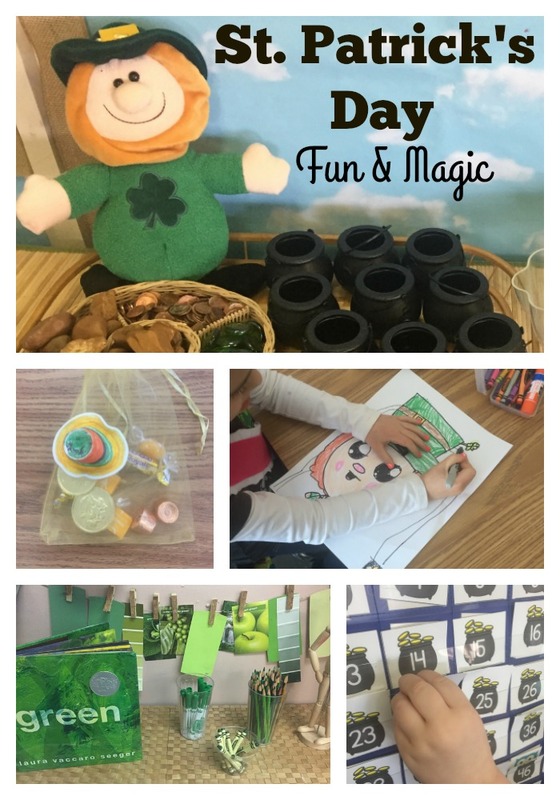 Guided drawings of leprechauns using ArtforKidsHub provide great fine motor practice! 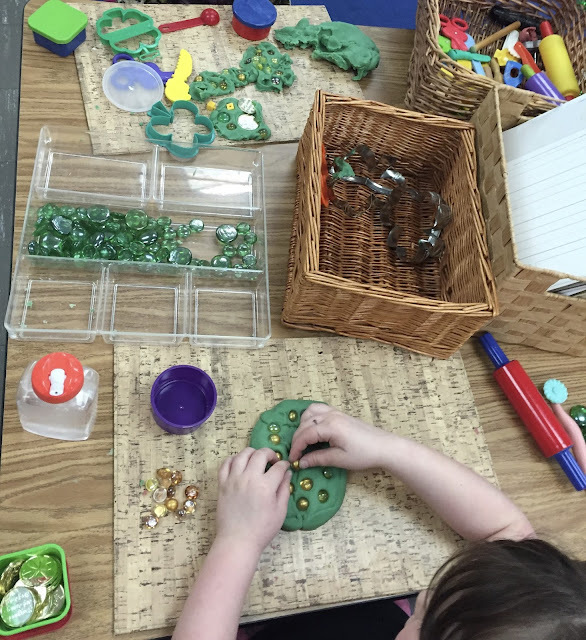 The children add their own details making each one unique! 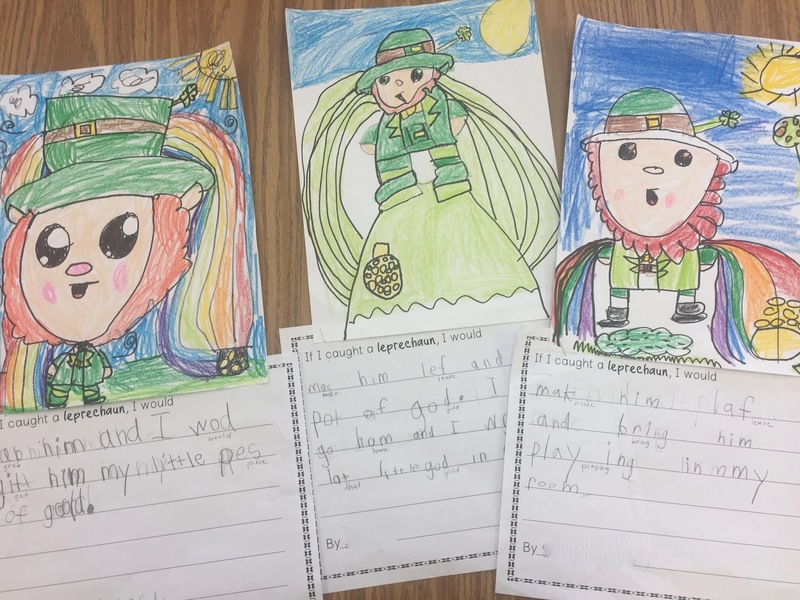 They also write about what they would do if they caught a leprechaun. 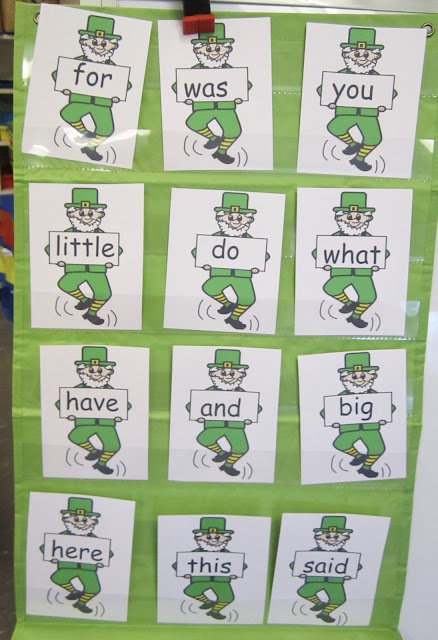 Sight words are practiced using this fun game where children take turns reading a word in hopes of finding the "pot of gold" that is hidden behind one of the cards. As the big day draws closer, the magic really begins! 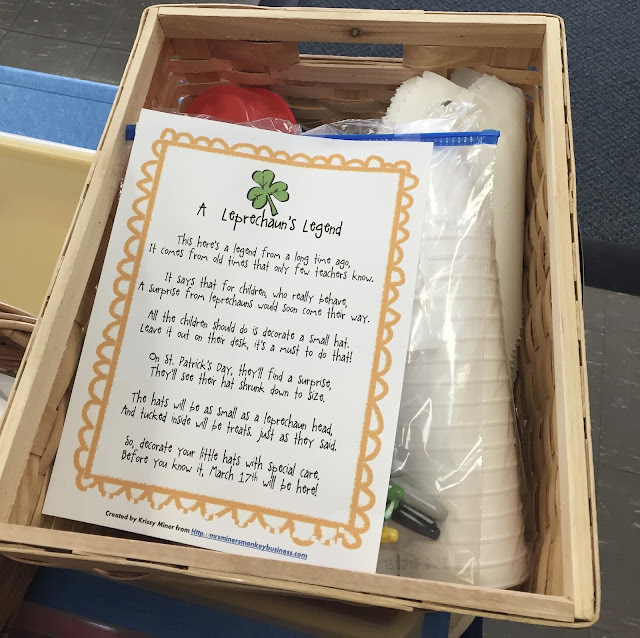 With one day to go, we find a poem, some cups, and markers in our snack basket. The poem invites us to decorate the "hats" and leave them overnight. 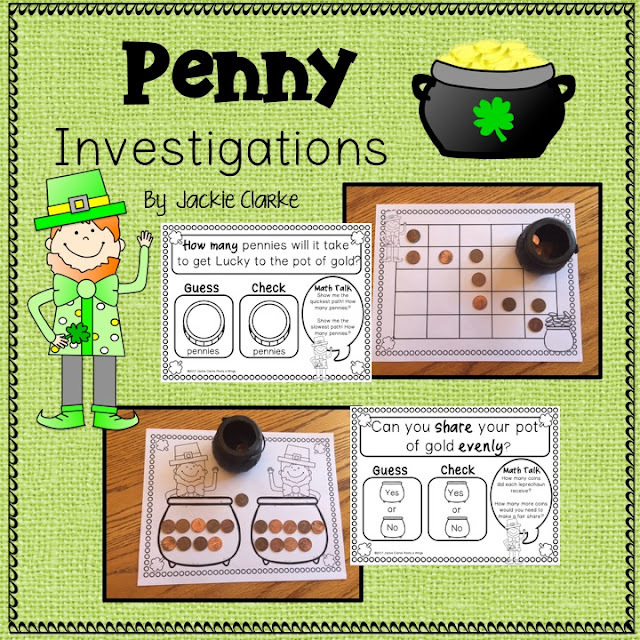 The next morning, the children are surprised to find these "shrunken hats" sitting atop a little bag of gold. In the afternoon we go hunting for more gold. Each gold piece is hidden with a 100 grid number card. 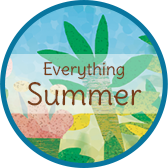 As children find each card, they bring it to the 100 chart and place it in the matching pocket. The gold, which is an assortment of pennies, plastic coins, chocolate coins, and candy go into their bags. 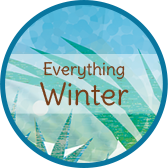 In the end, rather than stifling their imaginations, I've chosen to fuel them and incorporate the magic of the season into their play and learning. 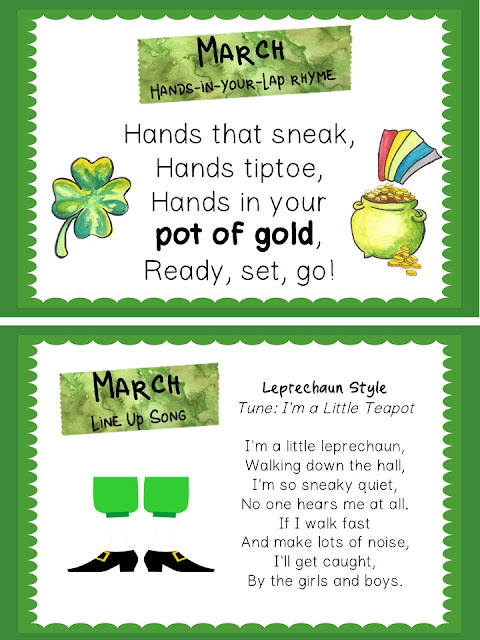 What works for you when the leprechauns come marching in?